You might have used mulberry fruit to make jams and cakes, but have you ever cooked with mulberry leaves? Our tea hero this month is the sweet and fruity Mulberry infusion, caffeine-free, restorative and revitalising. With 25 times more calcium than milk and 10 times more iron than spinach, it’s perfect for mums and mums-to-be. But it’s also a surprising ingredient in this amazing cake, created by Emily at Lahloo Pantry. Infuse 4 tsp Mulberry leaves in 300ml the double cream for 4 hours. Meanwhile in another bowl whip the Mulberry-infused cream with a couple of drops of natural green food colouring to a soft not peaked consistency. Add both whipped creams to the already prepared white chocolate mixtures and fold delicately until combined. Preheat oven to 210C. Line two large baking trays with parchment paper and grease with butter. Fold meringue into almond mixture. Fold in butter. Pour batter into trays and spread it out thinly. Bake until lightly browned and just springy to the touch, about 6-9 minutes. Run a knife around the edges to loosen the cake from the tray. Peel sponge from parchment paper. Cover the sponge while it cools. Once cooled place sponge in back in tray. Add another layer of sponge and repeat with two more layers of the white chocolate and mulberry mousses. Chill before using a knife to carefully loosen layer cake from tray. Cut into rectangular servings and serve at room temperature. The warming blend of Chai spices suits well the autumn weather, and when it gets darker and colder outside we can’t help but feeling like baking all the time! 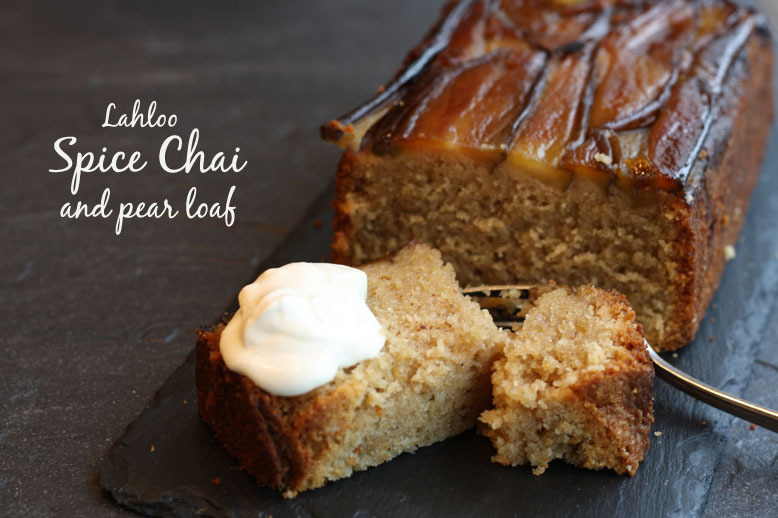 Emily, the head chef at Lahloo Pantry, has shared this Spice Chai and pear loaf recipe with us. With a moist texture that oozes autumnal flavours, it’s easy to understand why it’s being a huge sucess at the Pantry! Peel and slice the pear and combine with Spice Chai, sugar, and water. cooking down in a saucepan. Save the sugar syrup to moisten the cake and line the bottom of the loaf tin with the fruit. Beat butter and sugar until fluffy. Add in the eggs individually. Combine all dry ingredients and add, then slowly pour in the milk. Pour into the loaf tin on top of the fruit and bake for 20 minutes at 170c. Cover and bake for an additional 20-30 minutes. Once cooled, remove from the tin. Trim top and flip over so fruit is on top. Poke with a knife and drizzle with sugar syrup. Our tip: try using apple instead of pear. Have it with a cup of Spice Chai! A burfi is an Indian sweet made with condensed milk and sugar. The word burfi comes from the Persian word for snow, as burfi is served cold and looks a bit like it! Inspired by seasonal flavours and an Indian summer, we’ve added some coconut, almonds, orange and cardamom to flavour it. Delicious! 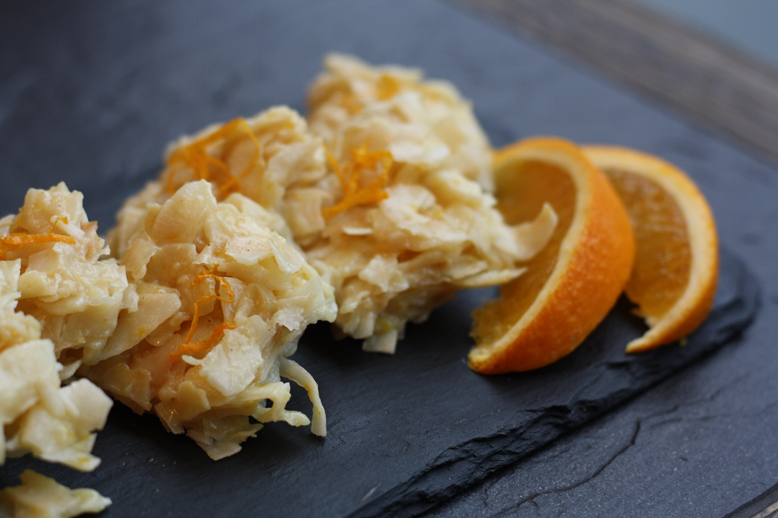 Combine the coconut, orange zest and condensed milk in a saucepan and cook on a medium heat, stirring constantly. Once the mixture starts to boil add the flaked almonds and cardamom then remove from the heat. Pour the mixture into a greased baking tray and leave in the refrigerator to cool for 1 hour. Once cooled cut into snack-sized squares. 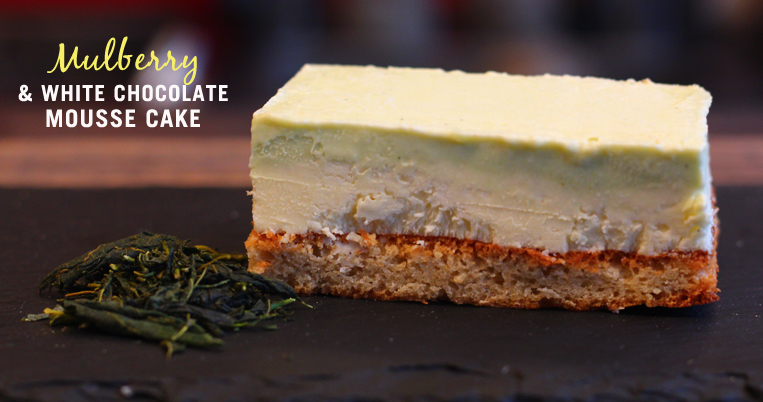 We’ve decided that this matcha and chocolate cheesecake should be known as the matcha latte cheesecake, as it’s a sweeter, more indulgent version of the delicious drink. 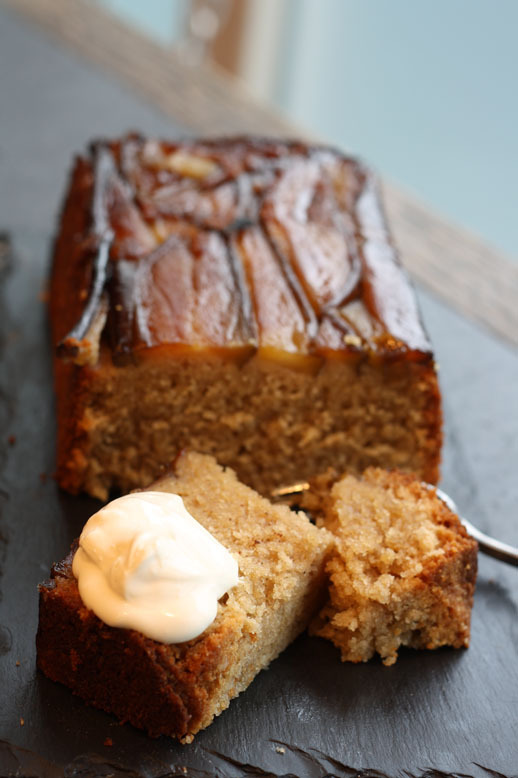 It’s a very satisfying cake made with simple ingredients. 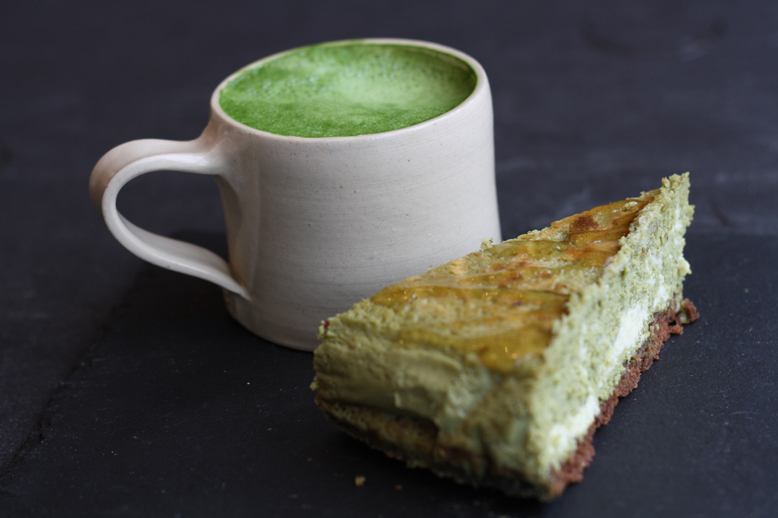 We’ve used some cooking matcha but also some of our ceremonial-grade matcha for a cleaner, more refined flavour (there’s an enormous difference, believe us!). 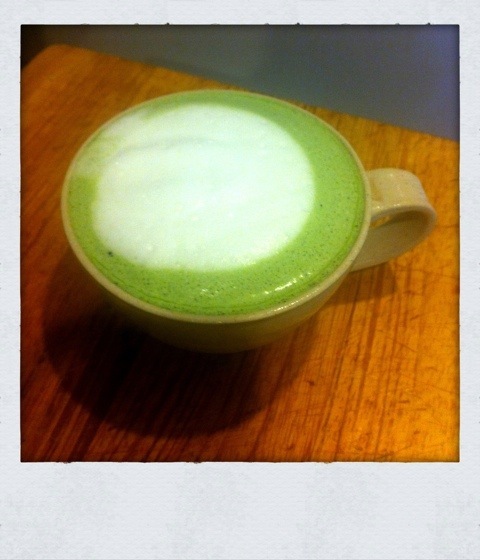 Serve it with a bit of honey and a big mug of matcha latte and enjoy an afternoon of matcha happiness! To prepare the chocolate shortcrust base, preheat oven to 180C. Place all ingredients for the crust in a food processor until it has a sandy texture. Grease and line a baking pan, press the shortcrust base into the bottom and bake for 20-25min. Allow to cool. To prepare the cheesecake batter, preheat oven to 160C. In a pan, melt the butter and the chopped white chocolate. Leave it to cool for a bit. Meanwhile, beat cream cheese, and gradually add the condensed milk, beating in until smooth. Beat in the eggs one by one. Add the matcha powder, half a tsp at a time, and whisk well to avoid any lumps. Incorporate the butter and white chocolate mixture and mix well. Bake in a bain-marie for about 50 min. Wrap the outside of the pan with tin foil to protect it. After 50 min to an hour, the cake should be set, with a slightly jiggly centre. Leave it to cool and then refrigerate. Serve it with a bit of honey! Here’s the original recipe by Pig Pigs Corner. A light, crispy palmier with your afternoon tea is the perfect treat for when you fancy something small and sweet. 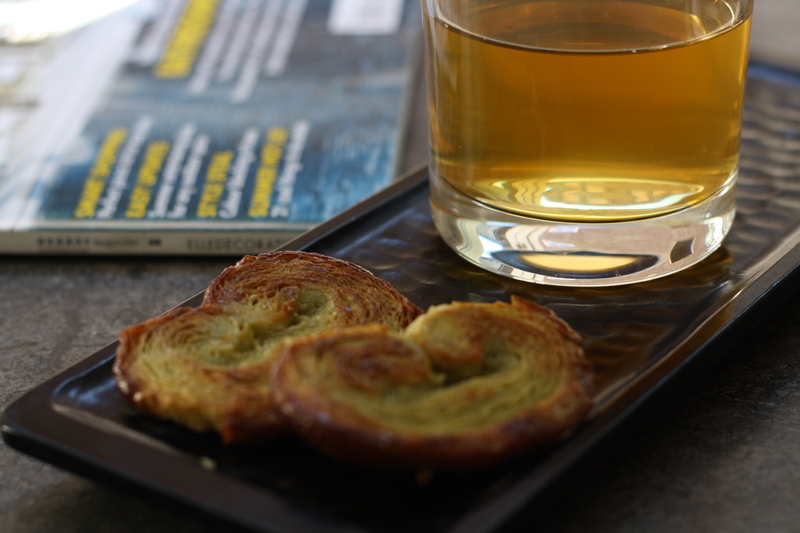 For all of you, tea lovers, here’s our delicious recipe, with the added flavour and goodness of matcha green tea. Place flour and salt in a bowl. Rub in 25g butter until it forms breadcrumbs. Cut the rest of the butter into cubes and add it too. Mix the egg and milk and add them to the previous mixture. It should form a sticky dough. Refrigerate for 30 mins. Take it out of the fridge and roll it out, using matcha instead of flour to prevent sticking. Fold one third into the middle and then the other third on top. Roll it again. 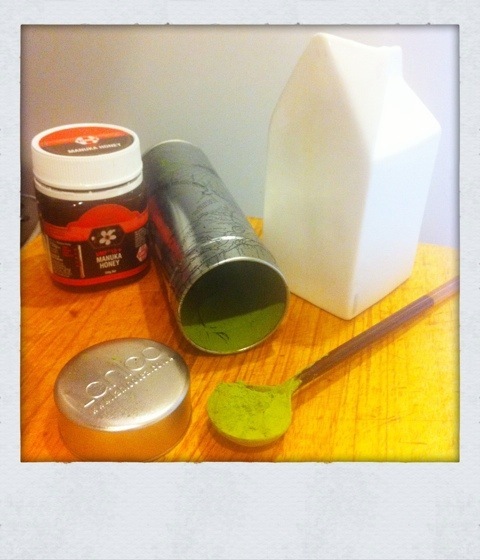 Dust off any excess matcha and refrigerate for 30 mins. Repeat this twice more. Roll the pastry into a rectangle (around 40cms x 18cms) and sprinkle it with vanilla sugar. 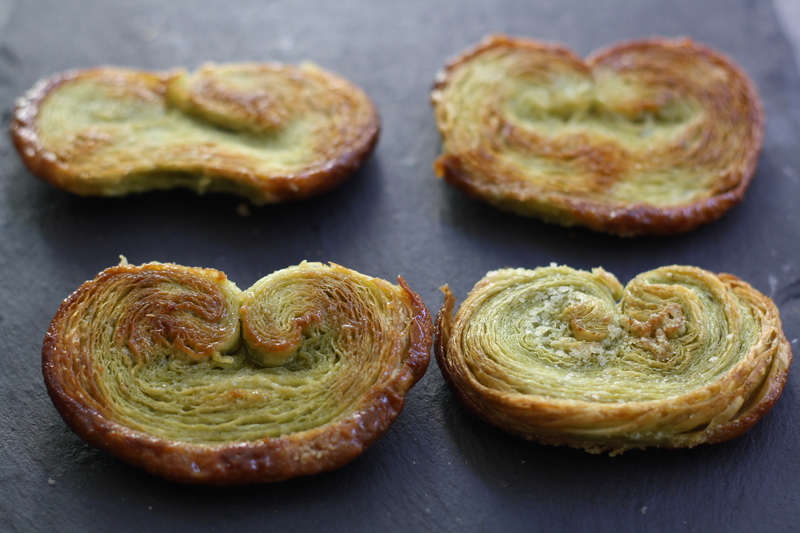 Then, roll it from the shorter edges into the centre until it has the shape of a palmier. Refrigerate again for 30mins. Cut the pastry into slices of 1cm approximately and sprinkle them again with vanilla sugar. Keep the slices in the fridge until you want to bake them. Before baking, flatten your palmiers a bit with a rolling pin. Bake at 200C for around 9 minutes. Delicious! I’m a real matcha fan. Traditionally the Japanese enjoy matcha whisked into a frothy tea with water but first thing every morning I love it post-run blended with milk, banana and a little honey – a super smoothie! You see, matcha, vibrant fine-milled Japanese green tea, is jam packed full of antioxidants and vitamins a,b and c. Like coffee, it contains caffeine but it works differently. Together with two amino acids it gives you a slow release energy lift whilst keeping you calm and focused. Not only that but matcha can boost metabolism, energy and mood (it makes me smile) as well as help prevent heart disease and ageing. But this week I’ve been under the weather and craving hot drinks. So I tweaked my smoothie recipe to make it a latte recipe with an additional healthy boost of manuka honey. It’s delicious and with a certain autumnal chill in the air, it’s my new favourite super healthy start to the day. 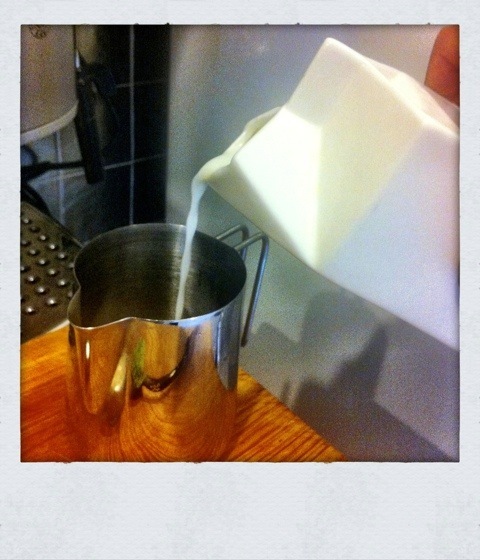 Warm the milk (I used my espresso steamer but you could do it in a pan on the hob) and honey over low heat, making sure the milk never reaches the boil. Once heated, pour into the mug and whisk until blended.